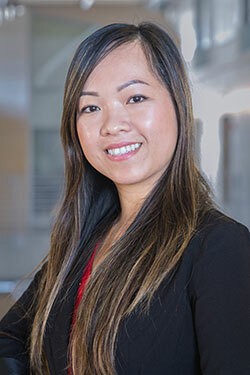 That’s the major finding of a new study authored by UC Merced environmental epidemiology Professor Sandie Ha and colleagues. The study appears in the journal Environmental Research and is funded by the National Institutes of Health (NIH) and the UC Merced Senate Grant. The researchers, including scientists from NIH, the New York State Department of Health and the University at Albany show that young children who live close to major roads are twice as likely to score lower on tests of communications skills, compared to those who live farther away. 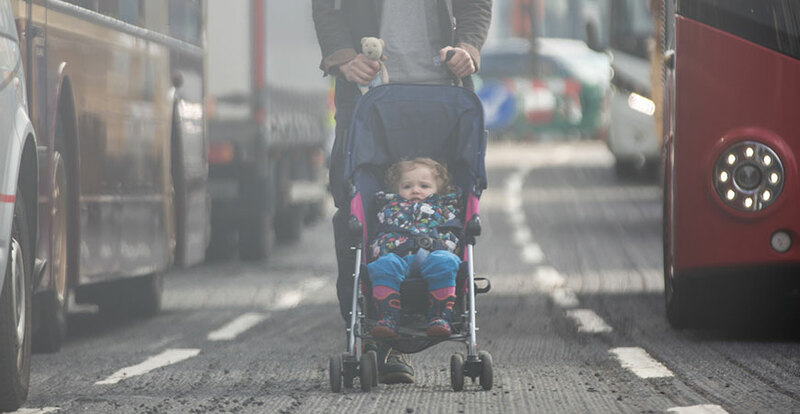 Additionally, children born to women exposed to higher levels of traffic-related pollutants during pregnancy — ultra-fine airborne particles and ozone — had a small but significantly higher likelihood of developmental delays during infancy and early childhood. After analyzing all the data, the researchers also concluded that early childhood exposure to air pollutants might carry a higher risk for developmental delays compared to similar exposures in the womb, though larger studies are necessary to confirm these links. The results suggest it’s prudent to minimize exposure to air pollution during pregnancy, infancy and early childhood — all key periods for brain development, said the paper’s senior author Pauline Mendola, an investigator in the Division of Intramural Population Health Research at NIH’s Eunice Kennedy Shriver National Institute of Child Health and Human Development. Previous studies have linked exposure to common air pollutants in pregnancy to low birthweight, preterm birth and stillbirth. A few studies have found a higher risk of autism and of lower cognitive functioning in children living near freeways, but little is known about how prenatal and early childhood exposure to air pollution might affect development. Given that a large proportion of the U.S. population lives close to major roads — major sources of air pollution — the researchers wanted to look at connections between well- traveled roads and lower scores on developmental questionnaires that indicate whether children are developing normally. The researchers analyzed data from the Upstate KIDS Study, matching home, work and day-care addresses of 5,825 study participants to a roadway data set and an Environmental Protection Agency data set for estimating air pollution levels. From 8 months to 36 months of age, the children were screened every four to six months with the Ages and Stages Questionnaire, a validated screening measure evaluating five domains of child development: fine motor skills, large motor skills, communication, personal social functioning and problem-solving ability. Compared to children living more than 1,000 meters (0.6 miles) from a major road, children living roughly 50-500 meters (164 feet to .3 miles) from a major road were twice as likely to have failed at least one screening in the communications domain. The researchers also estimated exposures to ozone and fine inhalable particles (PM2.5), two common pollutants. Fine inhalable particles are 30 times smaller than the width of a human hair, can pass through the lungs’ defenses and are absorbed directly into the bloodstream. Prenatal exposure to elevated PM2.5 was associated with 1.6 to 2.7 percent higher risk of failing any developmental domain, while higher ozone exposure led to a .7 to 1.7 percent higher risk of failing a screening in the developmental domain. In contrast, higher postnatal exposure to ozone was linked to a 3.3 percent higher risk of failing most domains of the developmental screen at 8 months; a 17.7 percent higher risk of overall screening failure at 24 months; and a 7.6 percent higher risk of overall screening failure at 30 months. “These elevated risks, despite being modest, have strong public health implications for areas like the Central Valley where almost everyone is expose to high levels of pollution,” Ha said.